In a special section highlighting the Duke Forward Campaign featured in the Fall 2017 issue of Duke Magazine (pg. 22), recent DukeEngage participant Michelle Staggers is noted for her engagement in the Rubenstein-Bing Student-Athlete Civic Engagement (ACE) program. 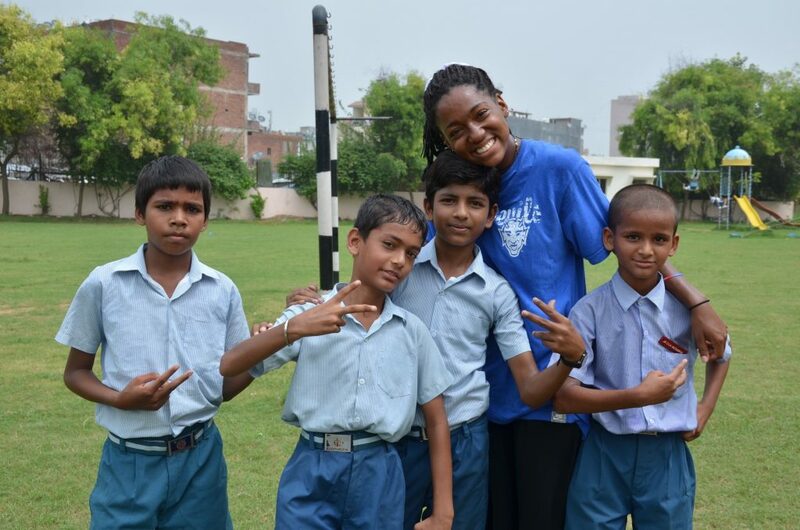 ACE allows student-athletes the opportunity to participate in service learning programs in China, India, South Africa, and Vietnam. After her ACE experience, Michelle was inspired to apply for DukeEngage the following summer. She was a member of the DukeEngage-Rwanda cohort in 2017.